Use the following username and password to access the online database for Merit Badge Counselors. Click on the button to login to the Merit Badge Counselor Database and search for the Merit Badge Counselor that you need! The District is working hard to "clean up" our Merit Badge Counselor List. Send an email to the Merit Badge Counselor List Administrator, Sherlyn Lowe. What is the process for becoming a Merit Badge Counselor? Print off and fill out the highlighted portions of the DISCLOSURE/AUTHORIZATION FORM the ADULT APPLICATION, and the MERIT BADGE COUNSELOR INFORMATION form. Turn in all forms to the council offices or to the District Executive in person, by mail, or by email. This is a completely online training that will take about 20 to 40 minutes to complete. This is required for all counselors to complete every two years. 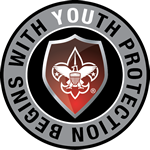 Your proof of completion of Youth Protection Training must be turned in with your Merit Badge Counselor Application! To take Youth Protection training go to My.Scouting.org and create an account. You’ll receive an email notification with your account information, including a member ID/reference number. Once you log into your my.scouting.org account, click on the YOUth Protection training image on the top right. This module will guide new and potential merit badge counselors through their responsibilities in the role and will give them an understanding of the methods of counseling Scouts. It is intended as a short orientation course for new merit badge counselors before they begin working with Scouts.